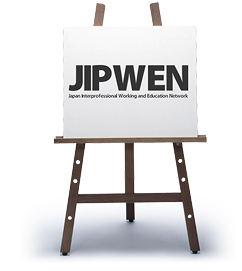 JIPWEN was established in June 28, 2008 by ten Japanese universities who are engaged in health professions education. These universities have been implementing unique interprofessional education (IPE) programs, and mostly been awarded Good Practices by the Japanese Government with financial support. The network aims to discuss critical issues of IPE and to present plural models so that institutions who are interested in the IPE programs can adapt the models to their academic and social settings. Nowadays, more and more institutions intend to start IPE activities. Recently, deteriorated quality of health professionals has been a big concern due to a lack of quality assurance over mass production of health workers. To overcome this serious problem, effective interprofessional team working is indispensible. Thus, the JIPWEN aims to advocate and strengthen the IPE activities, since IPE is strongly believed to play an important role in optimizing the interprofessional working (IPW). The purpose is to introduce IPE programs in Japan world-wide and to obtain advices and criticisms. The draft of the book titled “Advanced initiatives in interprofessional education in Japan” submitted to the Springer Company is attached. The book is expected to be published by the end of 2009. In Japan, quite a few medical education institutions and healthcare professionals fully realize the importance of IPE . However, their teaching methods are not always effective as most of them provide only lecture-style classes for the IPE purpose. On the other hand, the JIPWEN Universities have developed and systemically implemented extensive IPE programs. Interestingly, these initiatives are unique each other in contents, and thus they are extremely diverse in their individual goals, methods, modules, student compositions, organization and management systems, and timing in their respective university curricula. It is important to harmonize uniqueness of each program with standardized quality. In the network, annual meetings are held to plan and discuss these initiatives among the JIPWEN members. After program implementation, other meetings are organized to assess the impacts of activities. Refined through this program cycle, the IPE programs of JIPWEN member universities could be considered as possible models to be referred and adapted by other institutions who plan to start their own IPE programs. JIPWEN does not aim to establish an association, on a permanent basis, for IPE. Instead, JIPWEN members actively support the activities of the Japanese association for IPE, JAIPE*, as a leading member such as a director of the association, and collaborate with it. JIPWEN plays a coordination and liaison role with the JAIPE members, WHO, international IPE networks, and international academic associations. The association was established on November 30th, 2008. The secretariat is located in the Niigata University of Health and Welfare. This association organizes an annual meeting to discuss openly about IPE with the association members working in the fields of various health and welfare professions, and issues an academic Japanese Journal focusing on IPE and IPW. 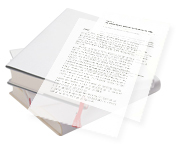 To publicize the presence of the JIPWEN widely among international educational networks, JIPWEN would actively prepare and submit English literatures and academic articles about IPE. JIPWEN advocates the importance of IPE to the Japanese Government and try, as much as possible, to strengthen the Government human resource for health (HRH) policy. To do this, the JIPWEN shares its experience (program results and outcome) with the Government, in particular MEXT* , MHLW**, and JICA***. JIPWEN plays a role in the communication and coordination among the JAIPE members and the Japanese government.